Internal BP reports leaked by WikiLeaks indicate that the company was planning to hedge its bets long before last week's deal with Rosneft for Arctic drilling rights. Worry, (or hope? ), that Rosneft may take over TNK-BP could have influenced BP to decide some time ago that the state-controlled oil giant was its best bet as a long term partner in Russia, reports The Guardian, quoting Wikileaks reports. "Peattie said that, over the medium term, in two to three years, BP expects TNK-BP will be taken over by the Russian government and split into separate oil and gas components that Rosneft and Gazprom will control respectively," the newspaper cited the cable, dated November 2008, as saying. "[Timothy] Summers [the former chief operating officer of TNK-BP, who was at the time BP's most senior representative on the venture] said he was concerned, however, that at some point BP's role in TNK-BP will be questioned by the political leadership because BP has 'put $8bn' into the company and has 'already taken out $12bn'. He explained that since BP reinvests its dividends largely in projects outside of Russia, he expects the company to receive more political scrutiny." That said, in 2008, BP was licking its wounds after being forced to back down to Mikhail Fridman and his partners in AAR after a long dispute over international expansion, and the British oil giant may have speculated that the state may prove a less rapacious partner. Throughout the arguments, speculation was rife that one or other of TNK-BP's partners would be forced to sell up to a state-controlled company. 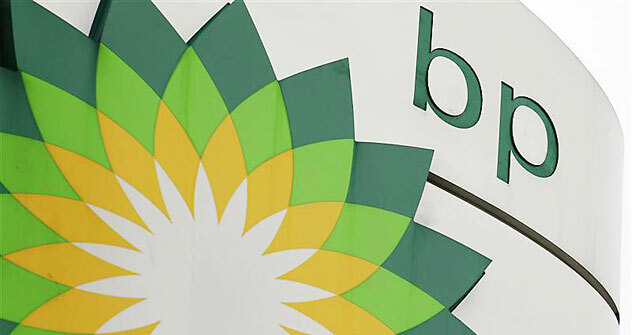 Now, having announced a major partnership with Rosneft, it may be that BP is still hoping to escape its cooperation with AAR, or find extra insurance under Rosneft's wing. Certainly, reports suggest that Fridman - whom more than one foreign partner has fallen foul of - is unhappy about the new deal. Given its experience from a couple of years ago, BP would be foolhardy to provoke his wrath without protection in senior political circles. Given that Prime Minister Putin and Deputy PM Igor Sechin are heavily involved in the deal with Rosneft, that shield appears solid - for the moment at least. For its part, AAR is making noises that it could have the right to get involved in the deal, as it has an agreement on exclusive cooperation in new projects in Russia and Ukraine with BP, reports The Moscow Times. If either partner - BP or AAR - finds a new project in those countries, it is obliged to inform TNK-BP management in writing before beginning substantive negotiations, said Stan Polovets, AAR chief managing director. Then the management makes a recommendation to the board of directors, which decides whether the deal is of interest to TNK-BP or not. TNK-BP knew about the Arctic negotiations. They went on for about five years, Polovets said, but they had not come to any specific results. The current agreement is not final either, according to the consortium's information. Apparently, BP will introduce it into the TNK-BP board when the details are settled. Then TNK-BP will decide whether the deal is of interest to it. "They will most likely be interested," Polovets said. Natuarally, BP has tried to distance itself from the leaked comments in The Guardian. "That was then, this is now. It sounds like those US Embassy statements were very soon after our bruising boardroom dispute with AAR. There has been a lot of water under the bridge since then," BP said.